If you have been CrossFitting for more then 3 months you are very welcome to join any of our classes. We have a range of options available for people visiting Mallorca. You can choose from daily, weekly or monthly packages. All of our classes have a maximum limit, so please reserve your place early to avoid disappointment. Our rates are €20 for one class, or €60 for weekly membership. 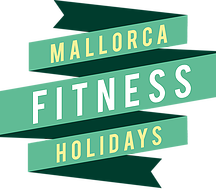 Looking for a one-off workout whilst in Mallorca? Purchase and reserve your spot. Class sizes are restricted to maintain quality. Please make sure before you come to a class that you are booked in through our booking system. Reserve yourself a spot before the class gets fully booked!